When patients call the office for an appointment,and when they step inside your door, the first person they speak with is your front desk staff member. In my office, we take this position very seriously and train thoroughly so that all of our patients have a positive first impression. Training is an ongoing, perpetual process. I have a written procedure manual for reference, and depend upon the optician (with 30+ years of experience) to jump in as needed. Along with our reception staff, I personally am very involved in greeting people, and tend to remember patients’s names more easily than anyone else. We have four employeeswho take turns staffing the reception area, depending on their availability. The first thing a front desk employee needs to make reflexive is greeting patients as soon as they walk in the door, rather than waiting for the patient to approach the desk with a question. It means attending to the patient from the moment they walk in the door. Greeting the patient by name, asking about their family, their last vacation, their hobbies, etc. After mastering the ability to greet patients in a friendly manner, including reiterating and asking about their personal needs, the front desk needs to understand how to keep your office on task. In our office, front desk employees are responsible for scheduling patients in the appropriate time slots for their visits. I usually do two comprehensive eye exams per hour;they are on30-minute time slots, separated by one or two 15-minute problem-specific visits in the morning, early afternoon and late afternoon. It is critical to train staff in detail on how much time needs to be allotted for each kind of appointment, and to continuously update address, phone numbers, e-mail address and insurance information, as well as scanning in their insurance card. And, after scheduling an appointment, they should create a template for the patient’s visit. When booking an appointment, I ask that the front desk person check to see when the patient was last in, what they were seen for, to check the Action Plan notes from the last appointment to see what and when the doctor prescribed for the next visit, and to check with me if needed to be sure they are appropriately scheduled. You often dealwith sensitive, personal informationand should train front desk employees to never repeat a patient’s insurance ID number, Social Security number or medical condition aloud in the presence of other patients. It helps to role-play, or pretend there is a hypothetical patient there, and then ask the front desk staff member how she would make the patient’s next appointment, and go through the check-out process, without revealing any personal information out loud. In addition, you need to train the front desk in a health care office how to triage patients. For instance, you would train the front desk to immediately work into the schedule a patient with an eye injury or symptoms that are threatening their ability to function. 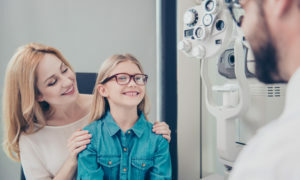 To make triage training easier, you could offer new front desk staff an online guide that gives examples of emergencies requiring immediate attention versus the kind of needs–like anew pair of glasses–that can wait. Patients could potentially be in pain, and need to be triaged in such a way that expedites their care. I haven’t asked current staff to do any online webinars on a regular basis, but our practice management system, OfficeMate/ExamWriter, has webinars available, and, in specific instances where we need staff to complete certain tasks in the software, such as coding and billing, I will ask certain staff members to participate in specific webinars. It’s important to not just reprimand, but to reward employees who go the extra mile for patients. 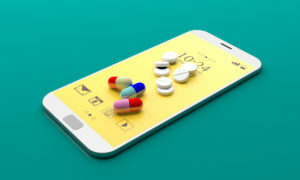 For instance, a front desk employee who is able to organize the schedule in such a way to squeeze in a patient in need of an appointment, or afront desk employee who remembers a patient’s particular likes and dislikes in eyewear, and is able to pass along that information to the doctor, should be recognized. The most important thing to do is to thank the superior staff member, both publicly and privately,and when certain projects are completed, a gift card is a great idea. Once you have your front desk staff protocol down, be sure to document it online, or at least on paper, so all new employees can be trained consistently. We have been blessed to have some wonderful high school and college employees. In the past 18 years, there are severalwho have been with us from sophomore year in high school through college, and they are terrific. We are currently seeking some new members for our Montgomery Eye Care team. It is impossible to have the same staff forever, and the list of tasks has changed since 1997, when the office opened. 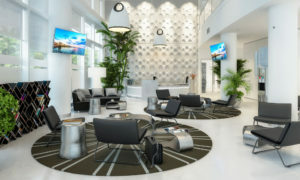 Everything is so much more computerized, and I really need team members, especially at the front desk, who are technologically savvy and, yet, “old school” when it comes to greeting and welcoming patients, new, previous, and potential. Mary E. Boname, OD, MS, FAAO, is the owner of Montgomery Eye Care, P.A., in Skillman, NJ. To contact her: mboname@mecnj.com.